I've had this ink in my rack for a long while, but I've been avoiding it. 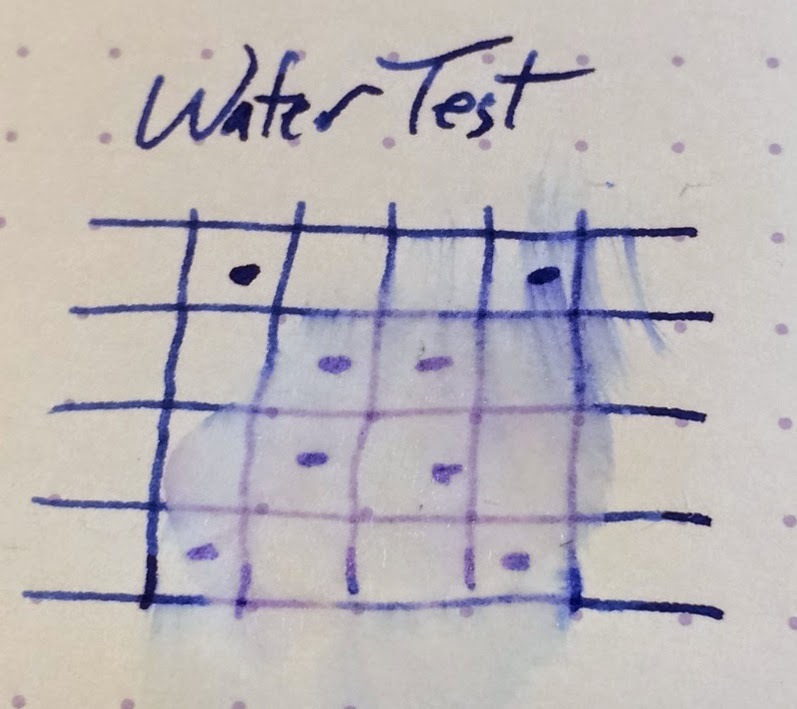 After I was disappointed by the first Omas ink that I used (and I could have sworn that I reviewed it, but I haven't), I was reticent to try another one right away. This one is a bit of a mixed bag, really. Firstly, I love the color. There's a sheen to it, and there's some shading to it, and the color is great. Secondly, it's an ink that works really well in my picky Pilot VP's medium nib. On the other hand, I'm not certain that I can recommend the ink because of the way it behaves on various papers. It works really well on this Rhodia, and it worked pretty well on the copy paper that I tried it on. I've used it on lots of papers, though, and its performance has been really spotty. Sometimes it works just fine and sometimes it just bleeds straight through and behaves really poorly. If it were more consistent, then I would have no problem recommending it. As is, I think it's going to be an ink that you have to sample. This is probably closer to Noodler's Liberty's Elysium than any of the other ones I've got listed here. It doesn't behave quite as well, but it does have a better flow than the Noodler's LE. It behaves pretty well in the photos above, so it'll generally behave alright. I've seen it really bleed through some other papers, though, so you'll have to watch it. Of course, if you're using decent quality papers most of the time you my never have an issue with it. It's not exactly water resistant, but it does leave behind a violet version of the lines. If you'd like to get a bottle of this ink, then check it out here for $15.50 roughly 2oz. It's also available in samples for $1.25, and I'd really recommend a sample for this one. I really like the color, but the performance is hit or miss for me.